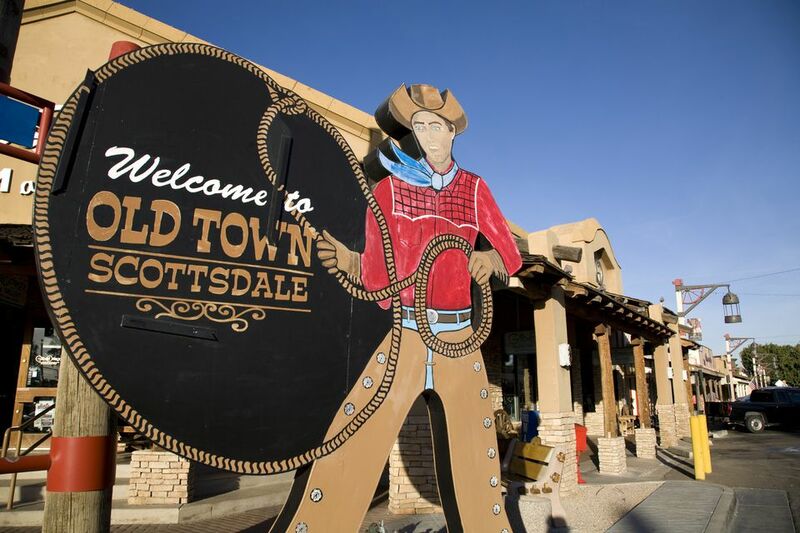 When it comes to shopping in Arizona, where you go can drastically alter the price you'll pay for goods and services because many counties and cities enforce their own taxes and transaction fees in addition to the state sales tax. Also known as the Arizona Transaction Privilege Tax, the state sales tax covers most typical retail items like athletic equipment, clothing, books, and household appliances. However, taxes charged at restaurants, bars, or hotels may have different rates, as might taxes for retail items costing thousands of dollars like automobiles. Additionally, the State of Arizona does not charge sales tax on food purchased at retail outlets for home consumption (grocery stores), but cities are allowed to do so, and almost all of them do. While you can generally expect an increase to the total sales tax of 1.5 percent to 3 percent in most cities across the state, the tax rates vary drastically by location—even within counties that otherwise charge a lower rate. Maricopa County, which includes the city of Phoenix and is the state's biggest country, adds on .7 percent sales tax to support roads and jails, which brings the total sales tax to 6.3 percent. When it comes to shopping in the greater Phoenix area, you'll most likely pay the Maricopa County sales tax in addition to city and state taxes, and there are even some cities nearby (but outside the county) that are being considered as part of the same tax bracket. As a result, knowing what you should be paying in each city can help you decide where to shop to save money on city-specific fees. The following represents the city taxes for each major city in Maricopa County. In order to calculate total sales tax, simply add the below amount to the state (5.6 percent) and county (.7 percent) sales tax. Although they are not located within Maricopa County, many people in the following cities and towns in Pinal and Gila Counties live, work or play in the Phoenix area, since they are very close. However, the Maricopa County sales tax does not apply to transactions in these locations; instead, you'll need to apply the appropriate county taxes. While businesses in and around Phoenix are typically trustworthy when it comes to charging the right amount in sales taxes, some computer systems may have difficulty charging different rates when purchasing different types of items at the same time (like groceries and office supplies). On the other hand, some new business owners may mistakenly be charging the wrong city or county's sales tax if they've just moved their location recently. In any case, if you feel you're being charged too much for your purchases, you can file a complaint about sales tax with the state tax agency. Oftentimes when someone protests a sales tax rate, the government or business will refund the overtaxed portion of the purchase. When planning a shopping trip in Phoenix, making sure you know which town you're in and how much they charge in local taxes can go a long way in preventing you from overpaying in sales tax. Although it can seem a little complicated at first, calculating the appropriate sales tax is as easy as knowing the right numbers.